ServiceMaster DAK are experts in providing fire damage restoration, and we are ready to handle emergencies 24/7 in Glencoe, IL and the North Shore and Northwest Chicagoland suburbs. Our technicians are dedicated to helping you restore your life to normal as soon as possible. We have years of fire damage restoration experience and understand that a quick response can help minimize your losses after a fire is extinguished. Smoke damage continues even after the fire is put out. The synthetic material found in today’s fabrics and common building materials cause a variety of complex chemical reactions when burned. After only a few hours, these chemical emissions can cause structure and household items to go from cleanable to unsalvageable. Call the fire damage restoration professionals at ServiceMaster DAK because we know what chemical combinations to use to effectively clean your home and personal property. To prevent permanent damage we will remove soot from at-risk items including brass, aluminum, chrome, marble, tile, porcelain, upholstery and carpet. We’re always ready when the unexpected happens and are available 24/7/365 to answer your emergency call. To protect your property from further damage the fire damage restoration team at ServiceMaster DAK in Glencoe, IL will make the necessary arrangements to immediately provide temporary heat and power to supply a refrigerator, freezer, lighting, and a furnace. To minimize fire damage loss, you should know what to do from the beginning. Taking immediate action will reduce overall fire restoration costs and save valuable possessions that might otherwise be lost. Follow these steps after a fire, or if you have smoke damage in your home or business. Stay away from electrical shock hazards. Keep people with allergies out of the home. 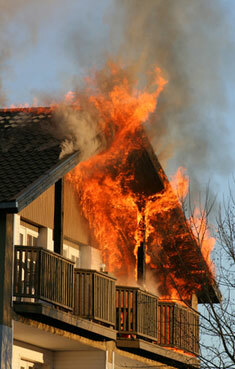 Call ServiceMaster DAK day or night – your local fire damage restoration company. The certified professional technicians at ServiceMaster DAK in Glencoe, Illinois are on call 24/7 to provide advice on the fire restoration of your home or business as well as your personal belongings. Our rapid response can reduce the amount of time and money it takes to restore your property and get your life back on track. Board-ups or tarps– to secure the structure we will immediately provide any board up or tarping needed for the roof, doors, or windows. Fire Source Removal – once the insurance company or fire department (or both) completes their report and release the property, we will remove the debris at the source of the fire. Water Damage Mitigation – our emergency services include mitigating any water damage that may have occurred. Contents pack-out and cleaning– to thoroughly remove the odor we need to clean every inch of the affected area. 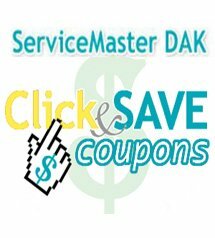 The fire restoration technicians of ServiceMaster DAK are trained to use specialized cleaning techniques that can often prevent the need and added expense of repainting. If the damage is such that repainting is necessary, ServiceMaster DAK will inform the insurance company. Structural repairs – ServiceMaster DAK is fully qualified to handle any fire damage and water damage cleanup job as well as any structural repairs necessary for total recovery. Serving Glencoe, IL and surrounding areas.